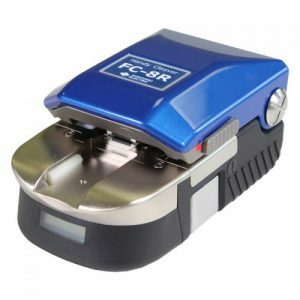 The Fujikura 12R incorporates features typically found only in more expensive models. The large 4.5″ monitor provides a crystal clear image, even in the brightest sunlight, for evaluating splice quality. The electrode life has been extended to 1,500 splices, minimizing downtime for replacement and stabilization. Software updates are accomplished via the internet allowing users to quickly update their software as new splice programs become available. The fully ruggedized chassis provides for shock, dust and moisture protection while the two camera observation system provides for accurate fiber alignment and loss estimation calculations. The Fujikura 12R is also fully compatible with the FUSEConnect® line of fusion installable connectors. 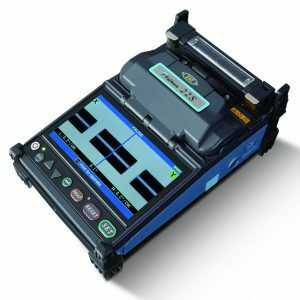 Backed by the best service team in the industry, the Fujikura 12R is the ideal splicer to use when portability, ruggedness, versatility and reliability are needed for your splicing application.